Our recently refurbished Bed &Breakfast is open for its fifth season in 2019 Westbrook is an elegant victorian building that offers you all you need in Torquay. This modern and welcoming Guest house is situated in a prime hotel area ideallly located with in minutes' walk to both Town Centre and the beauiful Sea Front of Torquay. The local Train and bus station are neaby together with easy access to all main arterial road links yet away from the hustle and bustle . We offer contemporary and comfortable accommodation ranging from Deluxe king , Double, Twin, And Family Rooms, all with hospitality trays. Delivering the highest levels of Quality, Service and Cleanliness , our aim is to make your stay as comfortable as possible with all the little extra's that you need, so if you are looking for a home to home felling westbrook is the right place for you to feel at home at weather its for a short or long break we will make you feel relaxed in a friendly atosphere with fantastic service that has achieved the Visit England 4 Star Silver Award. Also in your stay you can enjoy a delicious freshly cooked breakfast with the food and hygiene top score of 5 very good from the food & hygiene inspection!. Quotes ; " Westbrook Guest House provides a very good standard of accommodation " Visit England Quality In Tourism Report ". 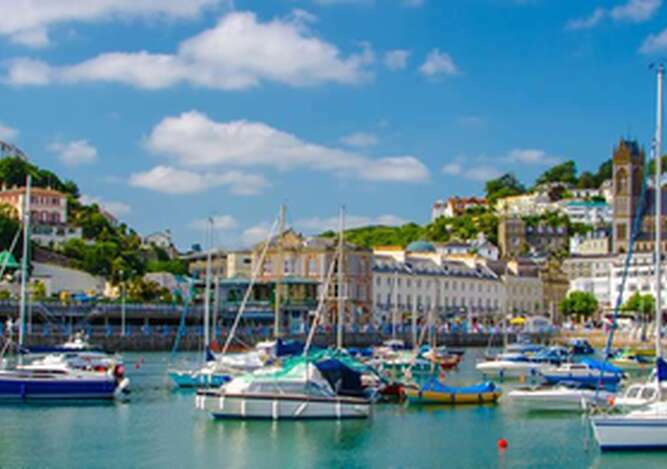 We would love you to come and visit, and share your momorable Torquay stay with us ! We sell Alcoholic beverages and soft drinks at reasonable prices and can arrange a bottle of something chilled for your arrival, or during your stay or even serve you a drink to enjoy in you room a bar menu is supplied in your room.